We’re a little egg-cited at Litecraft HQ this Bank Holiday Monday! 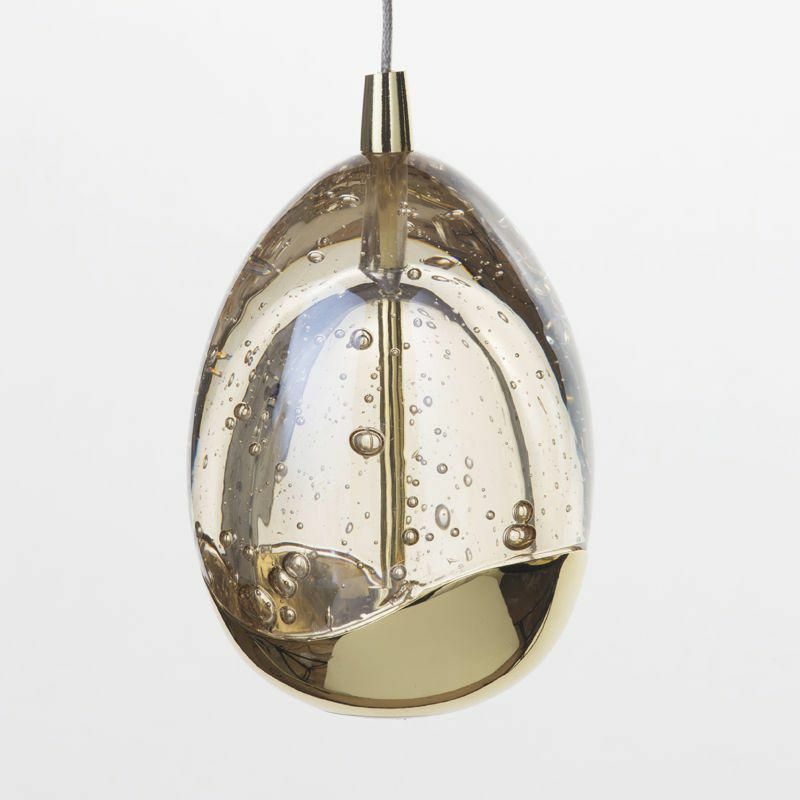 Our egg-stremely stunning new lighting Tegg range has hit our warehouse this weekend and is now available for you to buy online. Ok, we’ll stop it there with the Easter references. 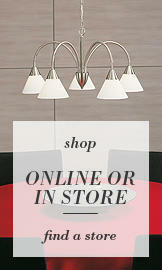 Our new lighting Tegg collection has arrived just in time for the new season. 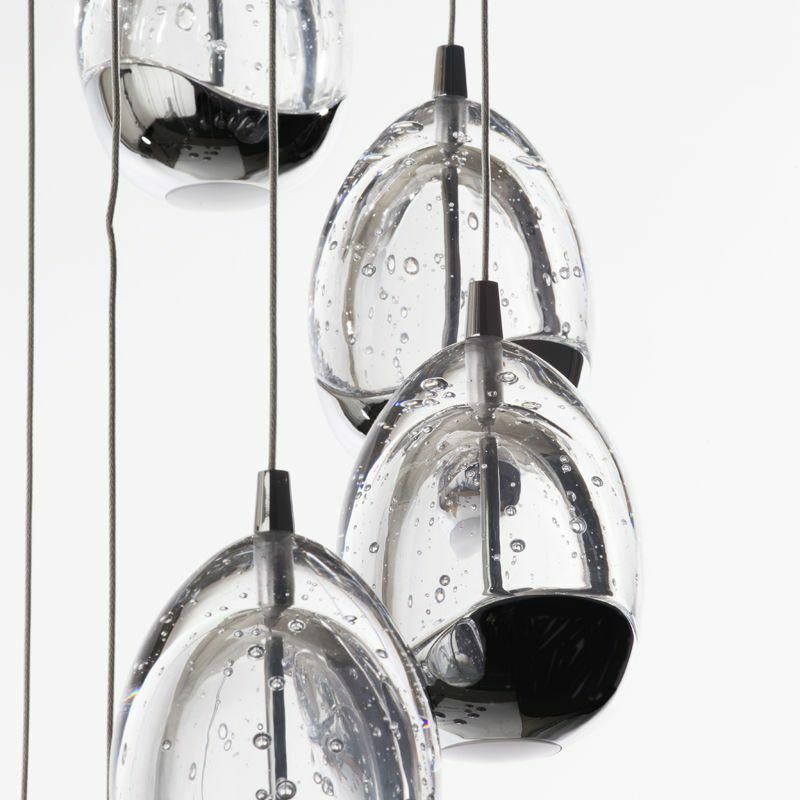 Give your home a spring clean with this collection of contemporary and unique lighting. Our New Range covers most areas of the home whether you’re after some light to fill your hallway and stairwells. In need of a table lamp for bedside reading, a wall lamp to illuminate dark corners or fancy a multi bar light for your new kitchen island. 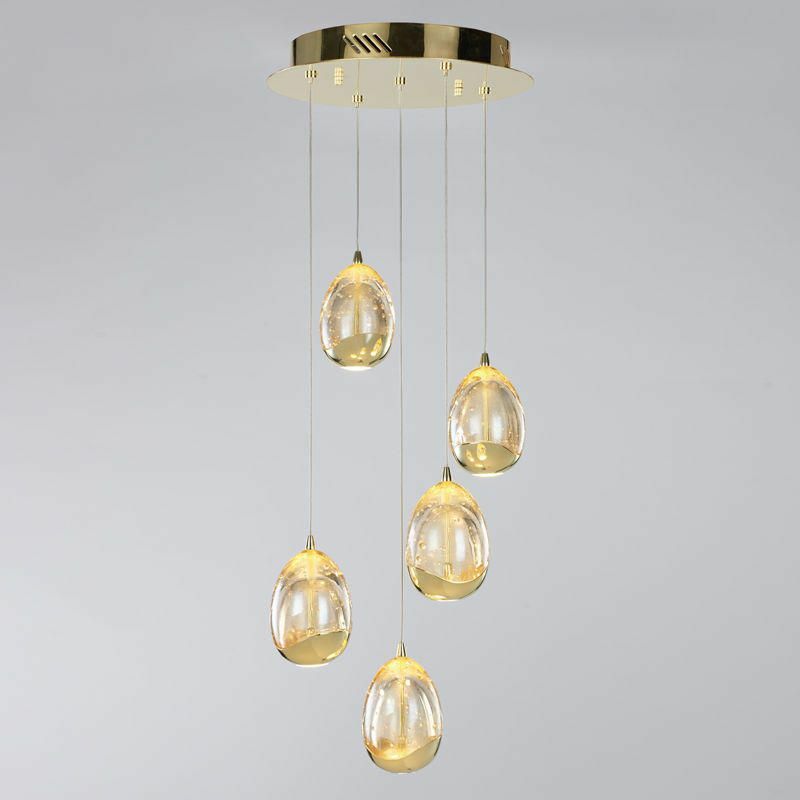 Choose our multi light spiral pendants for high ceilings and stairwells, our spiral fittings feature cascading effervescent egg-shaped glass hung as if floating in thin air. 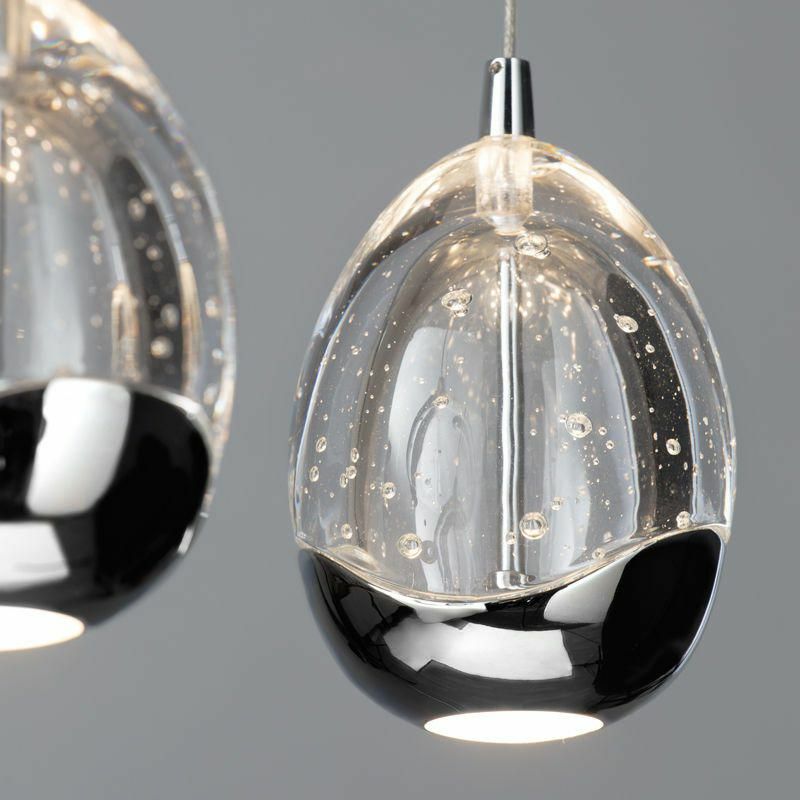 Each glass egg contains an integrated LED bulb that radiates inside giving a warm white glow. 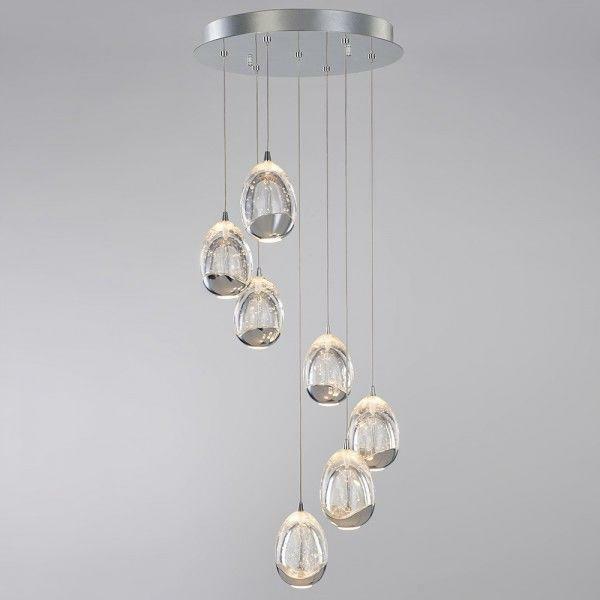 For a show-stopping contemporary style hang this in your stairwell and watch as the glass sparkles and shines as light catches each bubbled shade. Choose our chrome finish for a fresh addition or our exclusive gold addition for extra pizazz. Each fitting has adjustable cords which can be adapted to suit your surroundings. 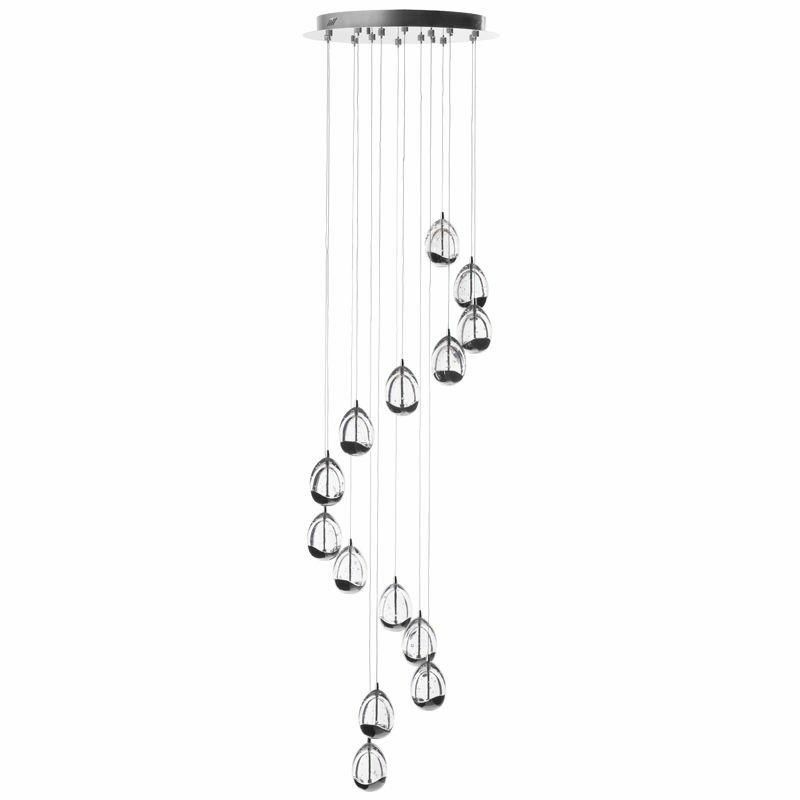 For a wider area such as a breakfast bar, dining table or kitchen island why not opt for a multi-armed bar pendant. These styles of light fittings give a stretched pool of light that will cover a larger and wider area depending on the number of lights. 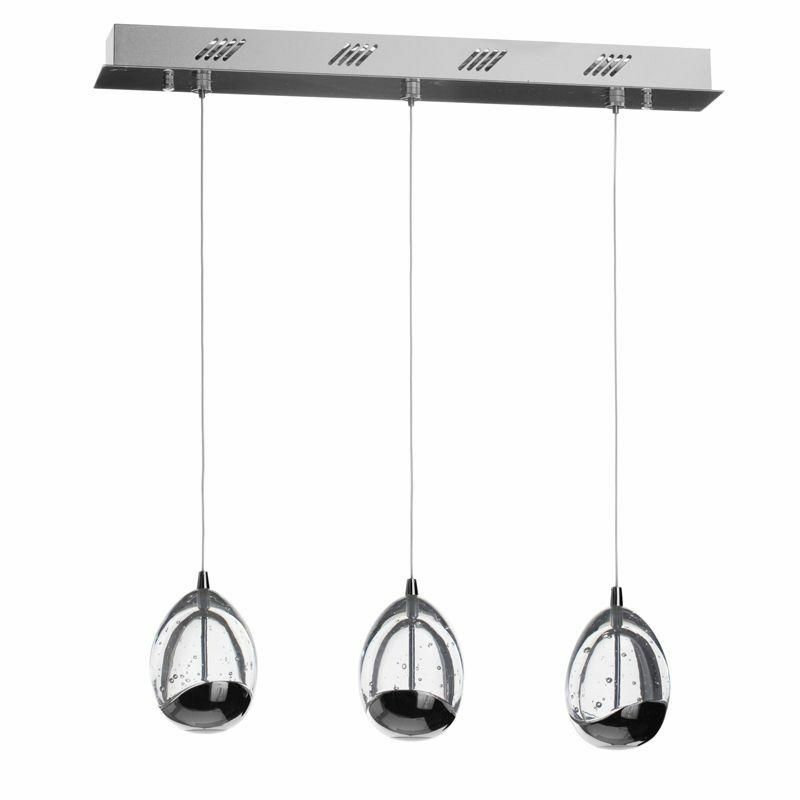 Our Tegg 3 Light LED Pendant Bar features 3 pendants suspended from a rectangular bar. 3 single cords hold each glass shade in place, these can be adjusted and arranged to suit your surroundings. Again, a soft glow illuminates from each glass shade giving a dimmer ambience. To compliment our ceiling fittings we’ve designed a matching table light for extra accent lighting. 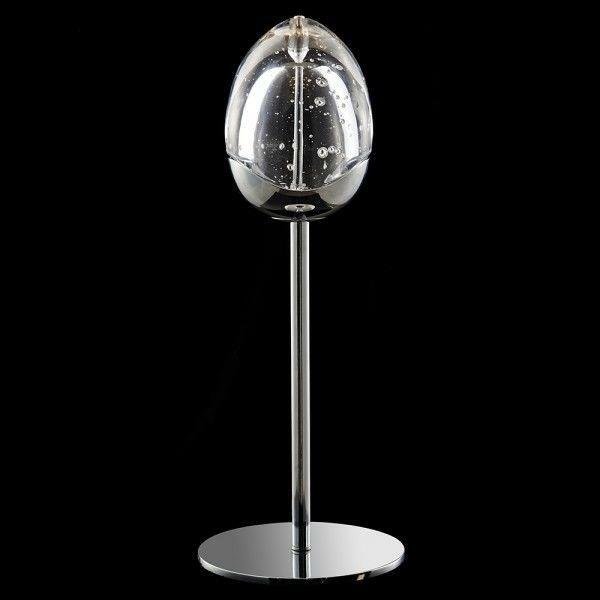 Our table lamp features one simple glass oval shade perched on a sleek chrome base. Effervescent air bubbles give this piece a unique and almost artistic element. An integrated LED bulb gives this lamp a bright warm illumination. Place either side of the bed for night time reading or on a side table in the hallway for a welcoming ambience. 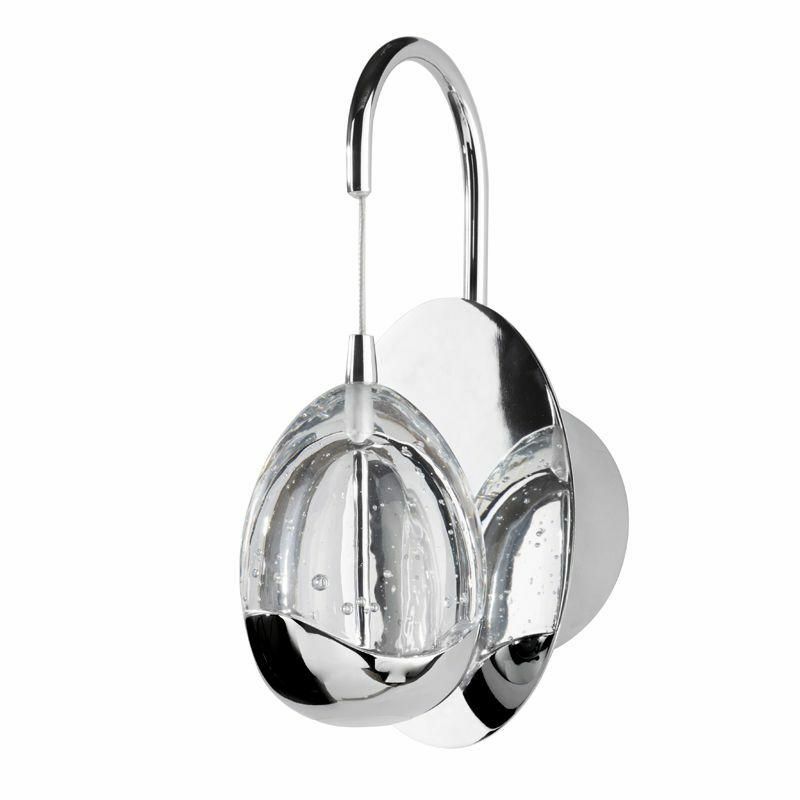 Finally, to complete the look choose our Tegg 1 Light LED Water Drop Wall Light. Again, this fitting comprises of one single glass shade with a warm light. The shade drops from a single cord attached to the wall mount. A mirror finish doubles the illumination. Install either side of your bed, in alcoves to accentuate forgotten areas or above wall art to illuminate a feature wall. Our Tegg range is ideal for promoting an energy efficient home as each fitting contains integrated LED bulbs. Great for a fresh new season feel. 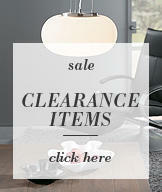 Watch this space for more additions to our Tegg Range. Is there any means of replacing a broken or defective glass without taking down the entire fitting? 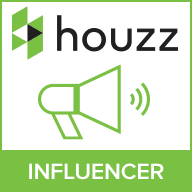 Hi Hugh, if you contact our customer service team they will be able to help you.